CLAM - We'll come to you with this class! 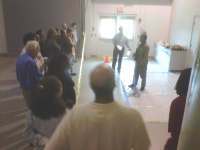 If you have a training facility, take advantage of our national approval and hold the class in your facility. The CLAM (certified lead, asbestos and mold worker) is trained in the processes leading to and involved in the remediation of lead, asbestos and mold from indoor environments. This entry level course meets the EPA Lead RRP requirement and trains the worker in the proper techniques related to lead, asbestos and mold assessment and remediation. Many states require specific training in asbestos or mold and this class may serve as a pre-requisite for licensure but is not designed to meet all training requirements in those specific fields. Those who work in the lead, asbestos and/or mold industry should understand sources of lead and asbestos, the basic mycology of mold, the seven components of indoor air quality, the importance of moisture control, hazards associated with all three contaminants, sanitization techniques, remediation guidelines, "generally accepted practices" including personal protection equipment (PPE), hazards communication (HazCom), and OSHA safe workplace practices. This comprehensive two-day training gives the worker what he needs to protect himself and his employer from downside litigation that sometimes accompanies mold remediation. Mold and the Media. A overview of the media to sort out truth from "hype", licensing laws and the role certifying agencies play in pending and future mold licensing legislation. Mold Fundamentals. This discussion centers on the physical make-up of this biological organism and how it fits under the umbrella of indoor air quality contaminants. The student is trained in understanding the differences between viable and non-viable mold and its effects on the environment. Understanding the investigative process. The assessment process is the important first step toward evaluating the need for a sanitization or remediation solution. The investigation always includes assessing the environment visually, collecting samples for laboratory analysis, and drawing conclusions. The investigation process ends with a well-written report and templates are discussed to facilitate the writing of those reports. Moisture Challenges. Moisture is a key factor in controlling mold growth so this section is devoted to a discussion regarding moisture control, the five rules of moisture movement, and the Psychrometric fundamentals in efforts to control both temperature and relative humidity in indoor environments. Employee Safety (OSHA). Although mold is not considered a hazardous substance, health issues are sometimes related to exposures of higher levels of mold. For this reason, the CMW must consider safety measures that should be taken to protect himself and the health of the occupants during a remediation project. Hazard Communication. 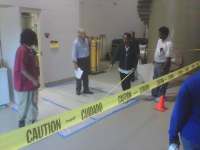 Communication in regards to hazardous work conditions is an important aspect of the remediation protocol. This section outlines the potential dangers associated with poor communication in the workplace so the CMW understands his relationship with the foreman on the project. Mold Standards. Guidelines & Publications New York City Guidelines, EPA Recommendations, IICRC 500-520, and NADCA suggestions are discussed in an effort to sort out the similarities and differences in each. In the absence of a national "standard", these become the standard for mold sanitization and remediation projects to protect mold industry professionals from potential litigation. 30 Steps to a Successful Mold Remediation Project. A practical step-by-step guide to a successful remediation project. This helps the CMW have an overview of the overall project from beginning to end, understanding where his specific aspect fits. Asbestos as an indoor air quality contaminant, it's properties and potential health issues. Regulations governing the effective removal/abatement of asbestos from indoor air environments including either removal or encapsulation. EPA Lead RRP Program covering Modules 1-3 to include "Why should I be concerned", "Regulations", and "Before Beginning Work"
The CLAM (Certified Lead, Asbestos and Mold Worker) is a trained professional who understands the assessment/remediation industry well enough to work in the field protecting both himself and his employer from downside litigation. Trained to meet specific requirements for certification, this professional has completed at least 16 hours of education in lead, asbestos and mold assessment and remediation techniques including assessment, mold, water, and respiratory protection (PPE). Based on a NORMI proctored examination, this lead, asbestos and mold professional follows industry standard protocols for either sanitization and remediation based on IICRC S500, IICRC S520, NYS Guidelines, and EPA Standards. Understand the basic principles of lead, asbestos, and mold contamination and remediation as described and generally accepted as the standards in the industry. Maintain familiarity with the equipment and supplies necessary to conduct a lead, asbestos, and mold remediation project, as well as, the methods for calibration and operation of such equipment. Appreciate the safety hazards presented by lead, asbestos and mold projects, and follow the procedures necessary to protect building occupants and workers from such hazards. Recognize that lead, asbestos and mold projects may bring the worker into contact with other regulated or unregulated substances. Properly address water damage in the indoor environment and understand the proper techniques for correcting such problems. Perform structural remediation/abatement by establishing proper containment, engineering controls to prevent cross contamination and to protect worker safety and health. Perform contents remediation/abatement by removing and properly disposing of damaged building contents or employing effective cleaning methods when appropriate. Understand the inspection and assessment process and, by knowing these, prepare for post-remediation verification.